My recent post on tin whiskers sparked the memory of tin pest in my mind. I have to admit, that with all of the legitimate reliability concerns related to tin whiskers, I am surprised that there has been essentially no parallel concern for the risks of tin pest. Admittedly, tin pest is much more rare than tin whiskers. Although many complain that we don’t understand tin whiskers, we can create them easily and make the vast majority of them go away. Whereas, it has been shown to be very difficult to create tin pest. For those that want a refresher on tin pest see this blog posting or my survey paper "Tin Pest: Elusive Threat in Lead-Free Soldering?" Journal of Failure Analysis and Prevention Volume 10, Number 6, December 2010 , pp. 437-443(7). Tin pest is a result of an allotropic transformation of tin from its beta phase (white or normal tin) to its alpha phase (gray tin) at temperatures below 13oC. This transformation is accompanied by a change in density from 7.31 g/cm2 to 5.77 g/cm2. The reduction in density requires the tin to expand, thus destroying the structure of the original tin object or solder joint as seen in the figure below. With tin pest being so rare, why am I concerned with it as a reliability exposure? With billions of solder joints in mission critical circuit boards exposed to cold for many years, it would seem inevitable that some tin pest would form. The effect of the cold is cumulative, it does not get reversed when the weather becomes warm. Applications most at risk would be automobiles, mobile phone towers, and military equipment. I wouldn't be surprised that, with typical tin whisker mitigation, that unmitigated tin pest might be more common. What is the fix? By adding about 0.5% antimony or 2% bismuth to lead-free solder, tin pest can be essentially eliminated. An added blessing would be suppression of tin whisker formation also. 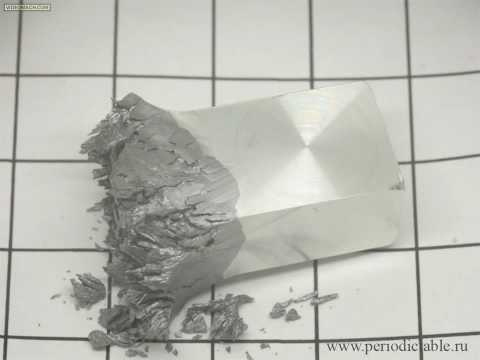 However, adding even these small amounts of antimony or bismuth to lead-free solders would require a thorough evaluation. Even these small additions of alloying elements can dramatically change the properties of a solder.